This casual dining set will look great in any style of home. The pieces have a timeless classic look, with clean lines and simple shapes. The rectangular table has straight edges, and sleek square tapered legs. 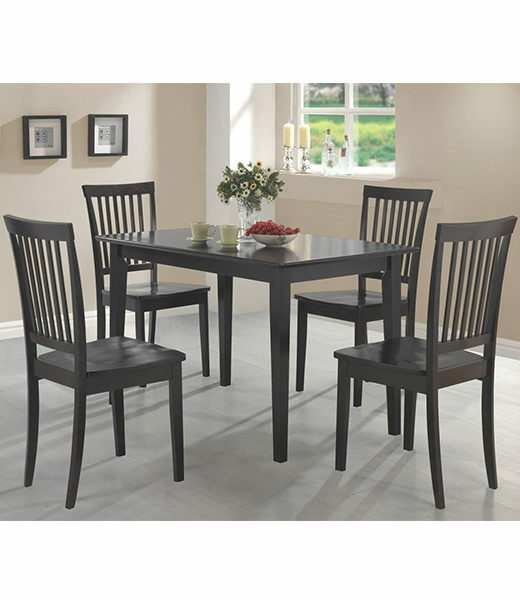 Four matching side chairs feature vertical slat backs, contoured wooden seats for comfort, and square tapered legs below. 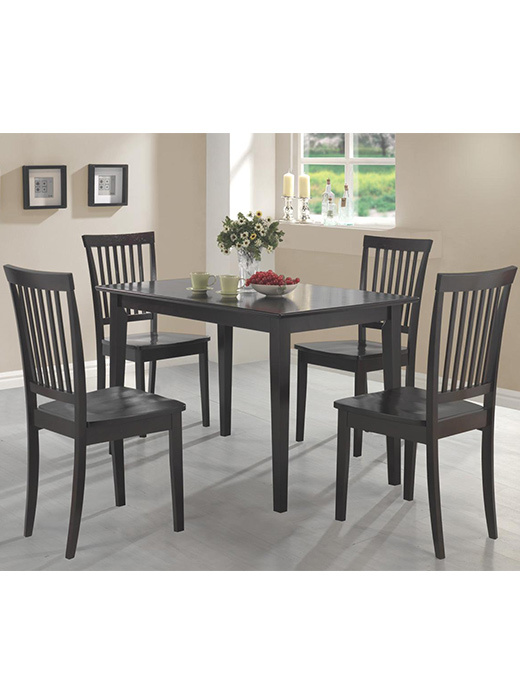 Available in both a deep Cappuccino finish, and a two tone dark with cherry top finish, this five piece dining set is sure to match your decor and fit your needs. The Oakdale collection offers a quick style update for any home. This dining group has a classic style that will blend easily with any decor, in a deep Cappuccino finish or two tone dark and cherry finish. Clean lines and simple style creates a timeless look that you will love, give you the warm and inviting casual dining room you have always wanted. Finish & Paint Options Deep Cappuccino finish, or two tone dark finish with cherry tops. Case Detail Straight edges, clean lines, square tapered legs. Description: Top Smooth top with straight edges.